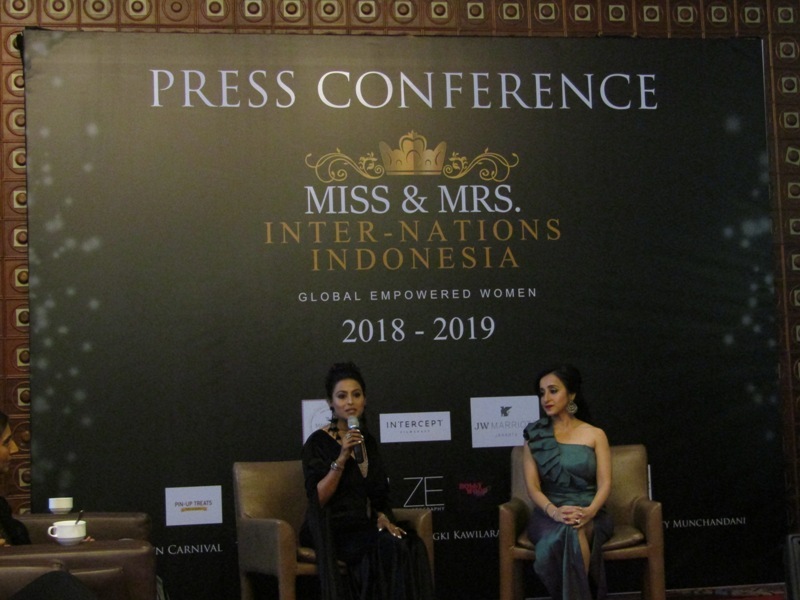 The press conference of upcoming Miss and Mrs. Inter-Nations 2018 was held at JW Marriott Hotel, Jakarta on October 10th 2018. One of these contestants will represent Indonesia for Miss & Mrs. Inter-Nations 2018 in Singapore on 18 – 21 October. 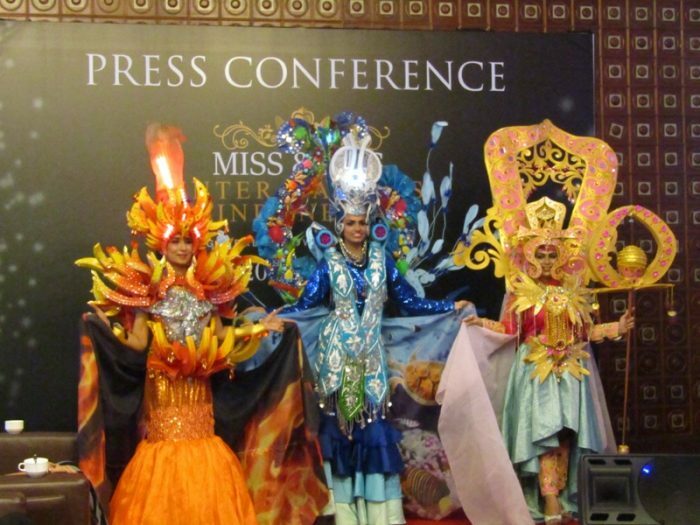 Please tell us about yourself and what inspired you become the the Indonesia country director for this beauty pageant? My name is Udita Thadani and I’m glad to introduce myself as National Director for Miss & Mrs. Intern-Nations 2018. This is the first time Indonesia has become a part of this contest and I’m glad that I’m heading it. The main idea or purpose of the pageant is for the global empowerment of the women. Those overall empowerment including self-love, self-esteem, self-courage, what a woman needs in today’s time. What are the main traits that you look for in contestants? The first trait that a contestant should have is self-love. When a person loves herself, that’s when she wants to do everything willingly for herself. She takes most care of her body, her mind, her soul. Because beauty is not about the physicality, it’s all about your mental and psychological traits as well. So when you comprise it altogether. Those what make the contestant perfect. Which part of the pageant excites you the most? The most thrilling for me is the preparation for the pageant. Especially the time when you get to interact way closely with the contestant. You get to know them as true humans. How does participating in this event lead to personal growth of the contestant? Regarding the personal growth, when we come across them during the training sessions, we do tell them where parts they have to work on. For examples. some of contestants are quite introvert. So when they came into group preparation, they started working on part they need to expose. They start talking and working more into a friendly environment. For last, I’m truly excited about the pageant and I’m happy as I’m part of it. My contestants team are amazing as they are well-prepared and I wish them all the luck and success. Meha: My name is Meha Sanghi, eighteen years old and I’m currently a student in grade 12th. Palak: My name is Palak Bhansali, I’m 25 years old and a performing artist, an actress and a dance performer. 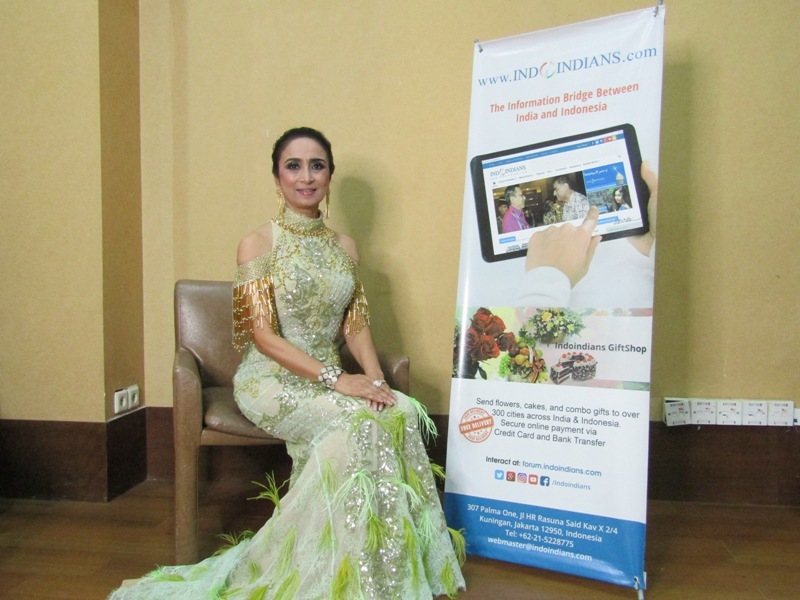 Amita: I’m Amita Sharma, 53, representing Mrs. Inter-Nations Global Empowerment 2018. Why did you decide to participate in this event? Meha: I participated to this event for number of reasons. Firstly. I wanted to explore the world of beauty and fashion. I’m always fascinated by similar pageants. I want to represent Indonesia in international level and make a proud. Furthermore I wanted to inspire women globally to embrace the beauty inside them. 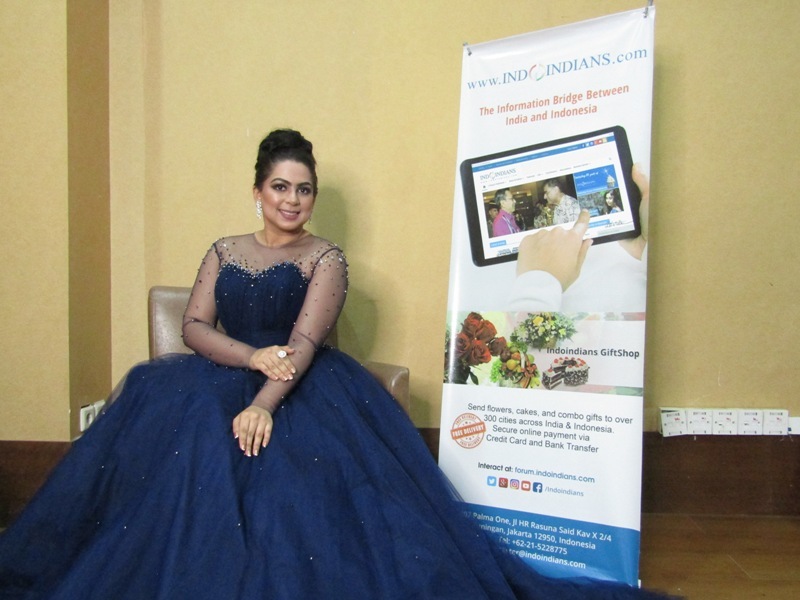 Palak: I decided to participate in this event because I need to do something new and something which is out of the box. Amita: I was motivated to work for women education as I’m an educator myself. I have been teaching for the last twenty years and working with special need kids. So I thought this is a good platform to use for the social work and the mental upgrade of women. What has been the been the biggest challenge as a contestant? 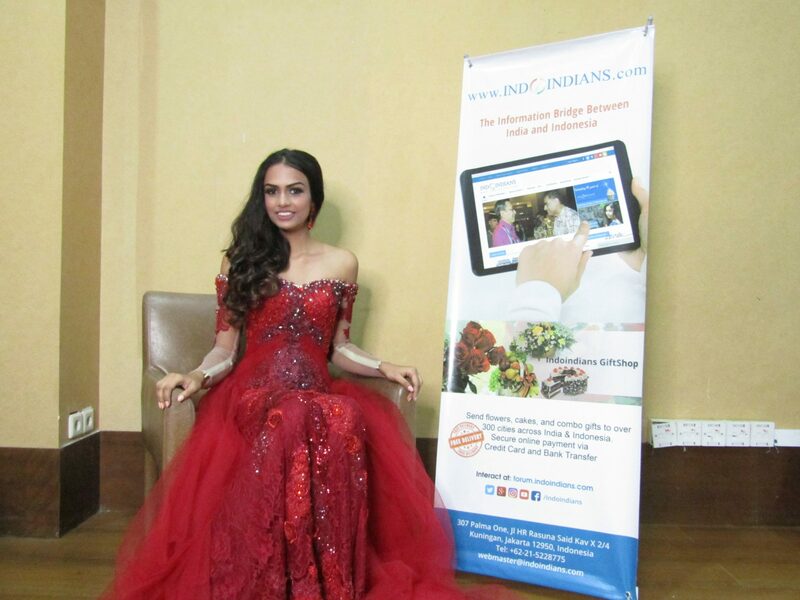 Meha: The biggest challenge for me as a contestant is to learn the new things that you have to do in a pageant. Such things as how to walk on the runway, how to do proper make-up, how to dress nicely. As a student who wants to involve into a fashion world, I need to become a model. Learning is indeed the biggest challenge. Palak: The biggest challenge is to represent Indonesia because it’s big responsibility to carry. It’s not only your name, but Indonesia’s name in international platform. Hence the preparation has been really intense. Amita: As a contestant, you have to be physically and mentally prepared because there is lot of hard work and lot of things to do. In your opinion, what is the biggest issue that women face in the modern world? Meha: It is women and equality. Mostly women don’t get paid as much as men do even they have same jobs. I think it is truly wrong as the world would not progress more if women and men are not equal. Palak: The biggest issue that women are facing is that the constant need to be an equal to a man. However one must realizes women are blessed with certain capabilities and possibilities which you should explore. Amita: I personally feel that to empower women, education is a must. Especially in the rural parts of Indonesia. So I would really like to work on that. How do you think this issue can be solved? Meha: The issue can only be solved if both women and men work together to bring women position as equal as men at present time. I want to inspire women in Indonesia that they are able to work and still be beautiful at the same time. Palak: Women should just go on and do what they need and want to do. Don’t be thinking that this is job for a man. It might be that way today, you should go ahead and change it. So go and live it. Amita: This issue can be solved by empowering and teaching women. For example I have started teaching English to my own helper at home. Slowly and gradually other helpers are also joining. I think anytime is a good time to start. Meha: Since I was a child. I have always been to become a doctor. After my year 12, I’m going to do MBBS, Bachelor and Master in Medicine. I want to treat patients and help people. Palak: My life motto what I seek is the spice of life, that’is what I truly believe in and I have been following it for many years. I have always been to do something which is out of the box. Something which is different where I guess I live by it. Amita: My life motto is whatever life gives you, you have to give it back to society.